Based on the labyrinth of antiquity. 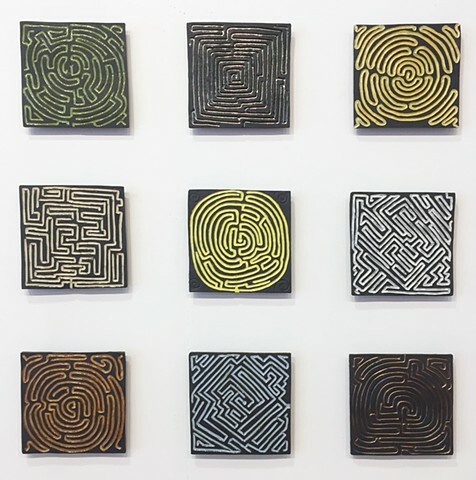 Each maze has only one way through to center. Hand carved black porcelain stils with hand painted glazes. Ships with wall cleats and wood frame backers to project tiles 1.5" off wall. Work is modular - can be displayed in any configuration or sequence.